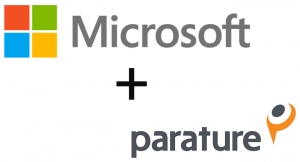 Microsoft Corp. on Tuesday January 7 announced that it has reached a definitive agreement to acquire Parature, a leading provider of cloud-based social and customer retention software for more than 70 million end users worldwide. The acquisition will surely help Microsoft boost their Microsoft Dynamics vision focused at helping organizations deliver the best customer experience. Engineers at the University of Surrey and Surrey Satellite Technology Limited (SSTL) are developing ‘STRaND-2’, a twin-satellite mission, to test a new in-orbit docking system. The system is based on the novel idea of using Microsoft’s XBOX Kinect technology to assist in the alignment during the docking phase. If successful, the new approach has the possibility to change the way space assets are built, maintained and upgraded. Usually docking control systems are developed for costly missions to the International Space Station, and it has never been employed on the small scale that the researchers now are attempting. They have a vision of using relatively low cost nanosatellites as intelligent “space building blocks”, that could potentially be stacked together and reconfigured to build larger modular spacecrafts, if combined with low cost docking system. Since the big launch party for the Nokia Lumia 800 in London at the end of last year, Nokia has been traveling around the world throwing big events for most mayor markets. The launch for the Nokia Lumia 900 in the U.S. seems to be no exception. 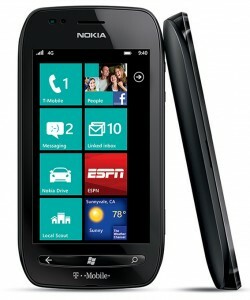 AT&T have promised to bring the biggest launch campaign ever for Lumia 900, and both Microsoft and Nokia have hinted for a while that they have something big planned. Today on Twitter a post made by @WPRetailInsider mentioned that on Friday Nokia will take over Times Square for massive Windows Phone launch event. Not many details regarding the event is known at this time, but if previous launch party’s is anything to go by, it is going to be something big. When Nokia released their Lumia devices, a feature that now is almost getting standard on other devices, was missing. The ability to share pictures, video and music to other network connected multimedia devices via DNLA. In the beginning of summer last year, Nokia brought DNLA support to some of their Symbian devices like the Nokia N8 via an application called Play To. Recently the Nokia N9 running MeeGo also got DNLA support trough the PR1.2 update. Now the Play To application is coming for the Lumia devices as well. Still in early Beta for now, but it shows a promising start. 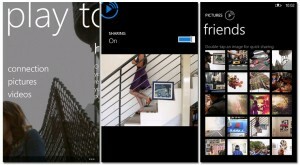 With Play To you can share your photos and videos from your Nokia Lumia phone to your DNLA-capable devices over your WLAN network. This could be a DNLA supporting big screen TV,or maybe your Windows 7 laptop and desktop. Currently there is no support for sharing music, but this is something that will be added according to the developers at Nokia Beta Labs. 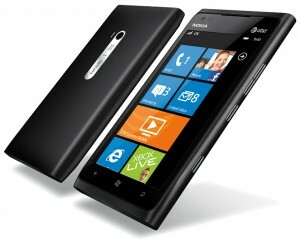 The Nokia Lumia 800 was first launched in selected countries in November last year. It was available in strong cyan and magenta colors, and also a more somber and classic black version. The Lumia is now being rolled out all across Europe and the rest of the world, with more countries being added all the time. Thanks to it’s stunning curved design, the device has been turning heads even since. Now it’s time to add another color to this amazing device. A beautiful pure white that perfectly offsets the uniquely curved ClearBlack touch screen from the smoothly-crafted polycarbonate unibody. The minimalist color scheme emphasize the purity of the phone’s design, really making the colorful Windows live tiles and images on the display come to life. 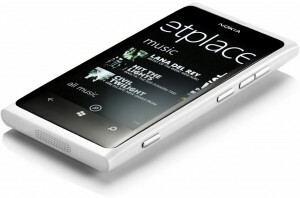 It also adds a fourth choice to the Nokia Lumia 800 package, giving the smartphone a unique presence on the mobile market. Today Nokia presented the rumored Nokia Lumia 900. It’s a LTE device with a 4.3-inch ClearBlack AMOLED display, and with 2 cameras. The back camera has an f/2.2 apeture lens, and the front camera an f/2.4 apeture lens. Maybe there is videocall support through Skype on the horizon? 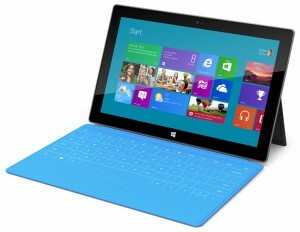 It’s using a 1.4GHz processor just as in the Lumia 800, and the memory specifications seems to be the same as well. The body is made of the same slick polycarbonate material used on the Nokia N9 and the Lumia 800, and the Lumia 900 uses the same beautiful design features as well. The device is also sporting a 1830mAh battery to provide good battery life even with the increased screen size. 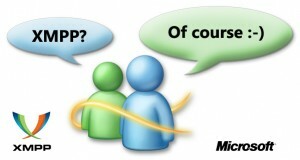 Yesterday Microsoft announced on their Inside Windows Live blog, that they have opened up public access to its Messenger IM network via the Extensible Messaging and Presence Protocol (XMPP). More than 300 million people actively use Live Messenger every month according to Microsoft, and the vast majority of them also actively use other services like Facebook, Yahoo and Twitter. As users contact lists and collection of chat clients and services start to grow, it becomes increasingly difficult to manage. Microsoft have in Windows Phone 7 shown their recent ambition to collect all different people you know under one place. This approach lets you collect social media, phone contacts and also chat services under one place for easy access. The Messaging service itself has also been expanded to let you connect via a Windows PC, Windows Phone, and Hotmail trying to make it easier for the user to sign in to existing services, and chat with who they want, without having to re-spam all their friends and force them to join yet another network, or download yet another chat client. This week had an amazing start for the residents of London, courtesy of Nokia and Deadmau5. Seems Nokia and Microsoft is pulling out all the stops to make Windows Phone and the Lumia phones a success. It really shows that they both mean business and Nokia is ready to take back their crown as the number one smartphone manufacturer, a title they lost in the beginning of this year. Using the Millbank Tower in Westminster near the river Themes in London as their canvas, Nokia with the help of Drive Productions, showed of an amazing effects show, accompanied by music from Deadmau5. 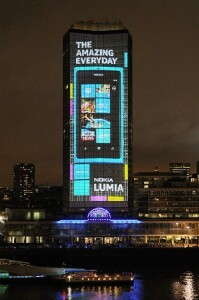 The grand finale being the projection of a huge Nokia Lumia 800.